Nani Roma (ESP) and Michel Périn (FRA) gave the Monster Energy X-raid Team the win in Peru’s Desafio Inca. 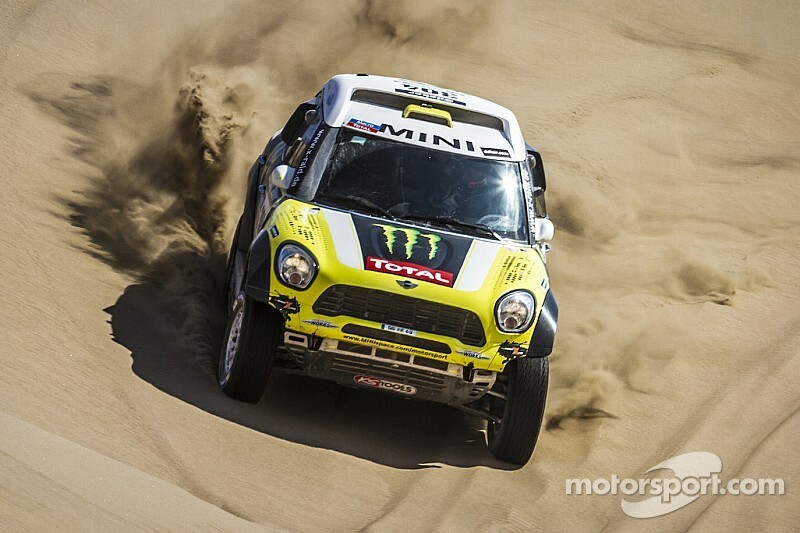 With their MINI ALL4 Racing, the pairing won all the six special stages that had to be contested over the course of the three-day event. At the end of some 1000 kilometres and 13 hours of special-stage action, they crossed the finish line with a lead of more than 90 minutes over second-placed Chilean Rodrigo Moreno.